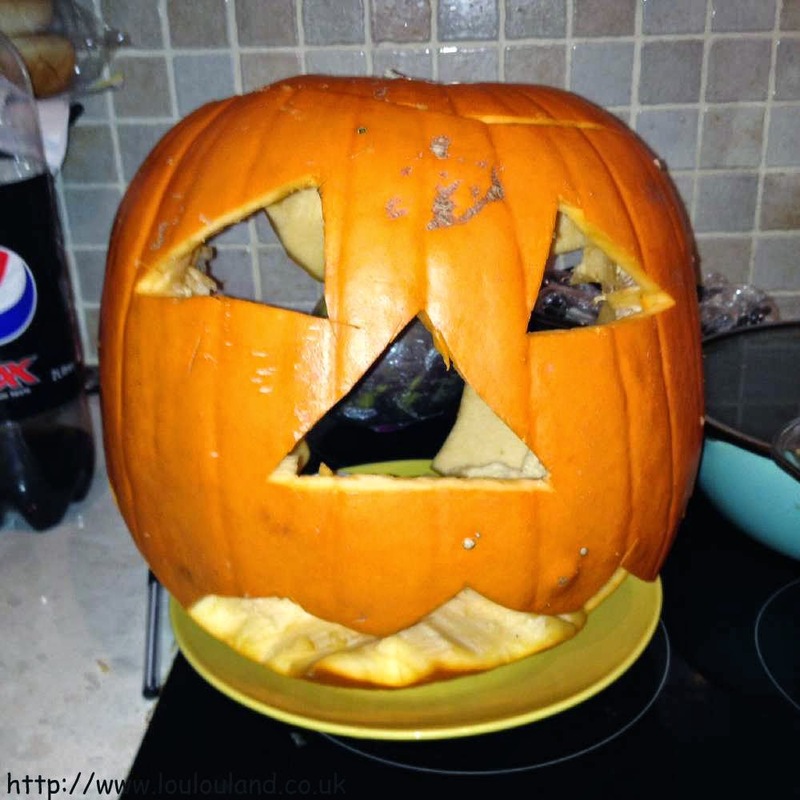 As I said in Monday's weight loss update, October was a bad month for me when it came to food. I ate what I wanted, when I wanted it. I craved comfort food and that's what I ate. Looking back now at the pictures of what I ate maybe I was a little hard on myself in that post, okay I'm not showing you everything, but whilst there are a few treat items in this little lot, there a few healthy, and pretty, nutritious meals too. An oldie but a goodie and one of my favourite meals ever, my interpretation of Nigella's Double Potato And Halloumi Bake. This version uses feta and mozzarella and I've also added some aubergine, jalapenos and courgettes. It's great as it is but I served the leftovers in gluten free wraps, with a little extra cheese. I go through phases with food, and in October I had an aubergine phase, as well as using them in this dish I used them in another Mediterranean inspired dish, my Ratatouille Pasta Bake. It's just a basic, chunky, fresh vegetable stew, that can be served with rice, a baked potato or pasta. Here I've mixed it with cooked pasta, and topped it with some gluten free breadcrumbs, mixed with some cheese, and a clove of garlic. Bake it in the oven till crispy and your done, a taste of the Med in minutes. Maybe it's because of the change in weather, but I've craved food that makes me think of warmer climates. So I adapted my Veggie, Bean And Nut Burgers recipe and made them with chickpeas to make a kind of falafel, which I baked in the oven. I served them with a Greek inspired salad, and some char grilled aubergines, and a homemade yogurt, mint and garlic sauce. The recipe made enough for two meals each for me and Mummy Lou, so I made the second lot into burger shapes and again I baked them in the oven, much easier than frying them in my experience. I served my burgers with salad, oven baked sweet potato chips, and a homemade yogurt and sweet chilli dressing. Although the temperature has changed quite drastically over the last week or so I actually ate quite a bit of salad in October, I also made a lovely vegetable frittata which I served with crushed potatoes, homemade chutney and a touch of mayonnaise. Despite my negativity I did seem to eat lots of vegetables, I know I should because of vegetarian but so many times in October the vegetables were the real stars of the meals I made. Mushrooms, for example, we ended up with an overload of mushrooms, don't ask! So I asked Mummy Lou what she would like and she said stroganoff. So I made my Mushroom Stroganoff which I pimped up with a few left over dried porcinis, and served with rice. I love pasta and I love rice, but sometimes you need a bit of a change, tonight I've had yummy,creamy mashed potato, but in October as an accompaniment for my vegetable chilli (with added aubergine and courgette) I went for two different options. Sloppy Joes! Not that common in the UK but huge in the States and elsewhere, the sloppy Joe is basically just some form of mince dish, aka chilli or bolognese served on top of a bread bun. I had gluten free buns, my mum's were fresh from a local bakery and smelled like heaven but I resisted and chucked a bit of cheddar cheese on to deal with my real bread cravings! The rest of the chilli was served with some grilled cheesy polenta, I used to make this all the time but I haven't made it for years. You can buy it ready made, and vacuum packed but it's pretty easy to make. I sliced it, grilled it till crisp and covered it in yummy cheese. Served alongside the chilli, and some sliced avocado, it made a tasty and different meal. The final main meal I had was the last of the month, and it was my traditional Halloween meal of Delia's Pumpkin And Toasted Sweetcorn Soup, and my Spicy Mexican Cornbread. As per usual it was fabulous, and our pumpkin was so huge this year, that we have a freezer full of leftovers, nothing like stocking up for the winter. The last few things I ate I guess you could call snacks. Snacking was really my downfall in October, but a little bit of what you fancy does you good, and at the beginning of the month it was all about American candy. 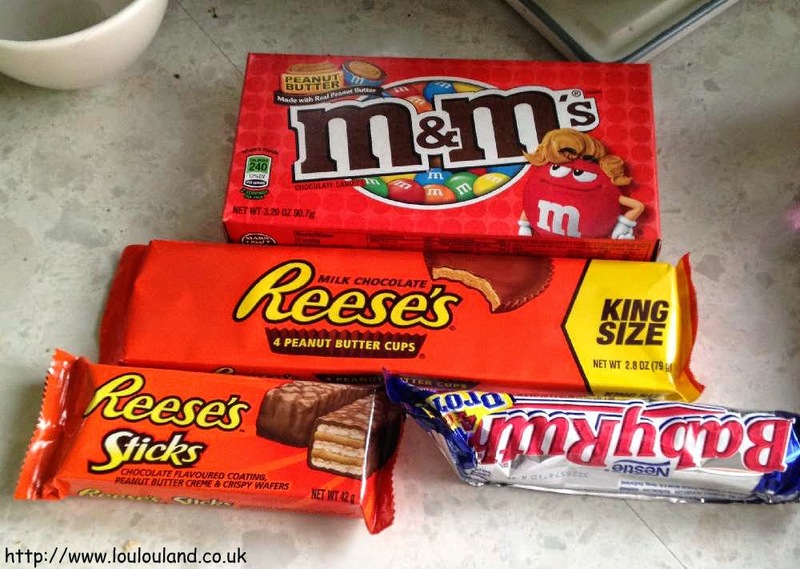 A raid on B&M Bargains produced this little lot of peanut butter heaven. One of my local stores had loads of American candy, and sodas in and I just couldn't resist. Of course I didn't eat it all at once and I did share some with Mummy Lou. In fact I haven't even eaten the M&M's yet because she hid them! In her mouth no doubt ! Speaking of chocolate amazingness though how could we ever forget my lovely Squidgy Gluten Free Chocolate And Caramel Brownies. The entire tray was gone in less than two days! 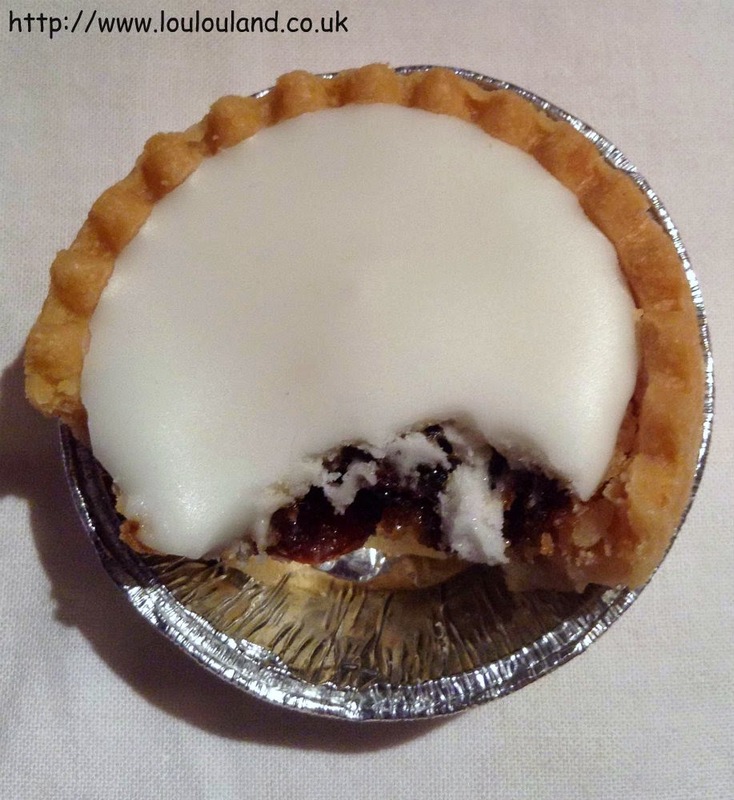 Whilst I was in Sainsbury's I also picked up a packet of their icing topped gluten free mine pies. No it's never too early! Alas I wasn't impressed, it was a bit too dry and hard- M&S, and Udis, are usually the nicest so I'll be doing my best to get my hands on those, before my mum makes her annual epic batch. Okay, all the snacks I've showed you far aren't the healthiest, but in October I also reached for some snacks for a company for whom potion control is key. I was lucky enough to win a competition on twitter held by a brand called Tasty Little Numbers. They produce a range of products that are calorie counted but about as far away from diet food as it's possible to get. The hamper I was lucky enough to win contained, 3, 200 calorie ready meals, including 2 meat options which Mummy Lou enjoyed, a box of 6 packets of 100 Calorie Salty Malty Salt and Vinegar and a box of 6 packets of Sizzlin' & Smokin Bacon Rashes. It also contained an assortment of milk, white and dark chocolate biscuit bars. 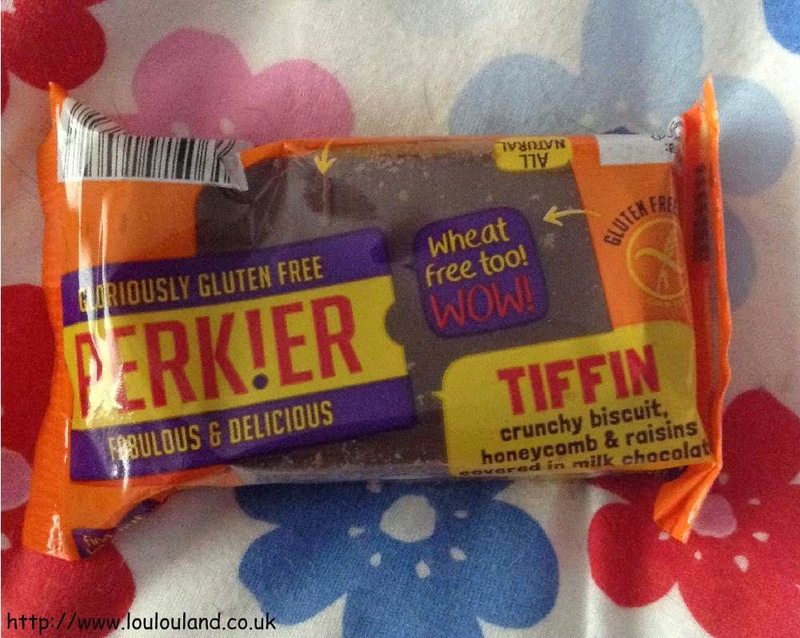 These are a gluten free wafer covered in chocolate and they were sooooo moreish, Mummy Lou ended up hiding those too! The products aren't the cheapest but everything was so nice and the ingredients and quality were superb. I think it's a great idea when you want a snack everything is there for you and you exactly how many calories are in each piece. You can find out more about Tasty Little Numbers including stockists information from their own website. Speaking of calories, I also indulged in a couple of coffee shop drinks last month, including another Starbucks Pumpkin Spice Latte and another Raspberry and White Chocolate Creamy Cooler from Costa. 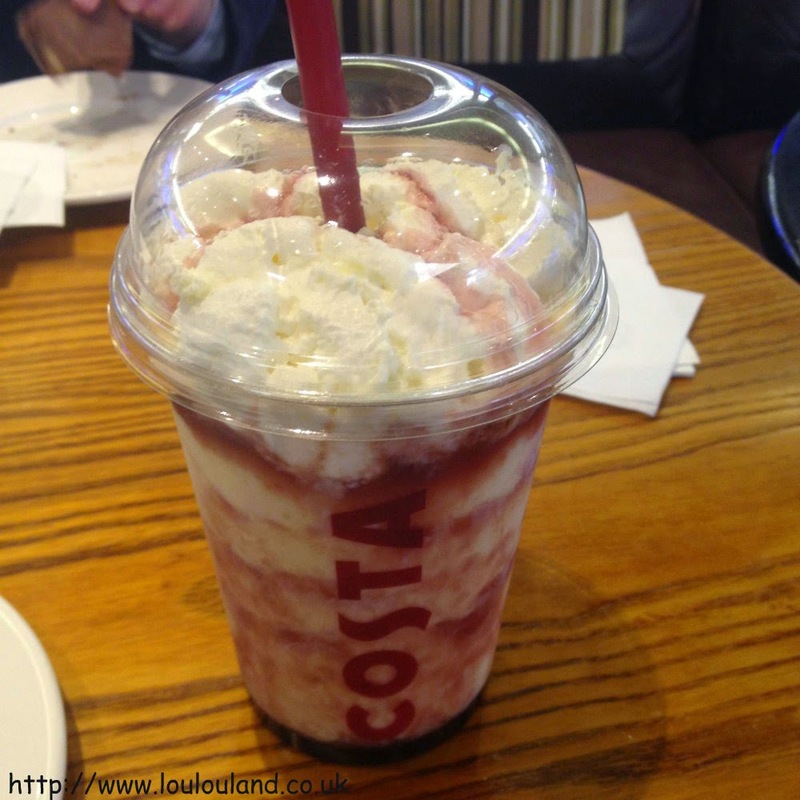 Although the Christmas drinks have now arrived I've so happy that the creamy cooler seems to be sticking around this year, and I'll definitely be having one, once I've worked my way through pretty much the entire Costa festive menu. The final thing I ate or rather drank in October is a new love, Midori*. I've already mentioned it my green hair post but it deserves another mention. This stuff really surprised me, I always thought that it would be too fake and sweet, but it's anything but. I drank my little bottle mainly with lemonade but I can definitely see my adding a full sized bottle to my drinks cabinet.